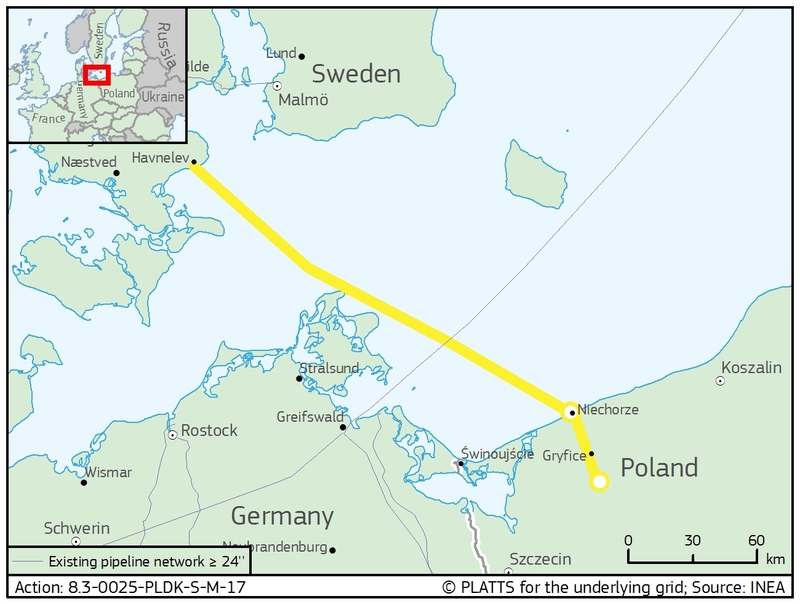 The Action contributes to the implementation of the Project of Common Interest (PCI) 8.3 Poland-Denmark interconnection "Baltic Pipe", a bidirectional offshore gas pipeline through the Baltic Sea that will physically connect the Danish and Polish gas transmission systems. The objective of this Action is to carry out preparatory studies, geophysical and geotechnical surveys, engineering works and pre-construction activities as well as to prepare the necessary project documentation up to the obtainment of the building permits for a number of key infrastructure elements, part of the Baltic Pipe project. These infrastructure elements are the offshore pipeline connecting Poland and Denmark (estimated length of 260-310 km, DN900, design pressure of 120-150 bar); the onshore pipeline in Poland (estimated length of 40-154 km, DN1000); one receiving terminal in Poland; two compressor stations in Poland and one in Denmark; as well as a small section of the onshore pipeline in Denmark (estimated length of approx. 10 km, DN 900) connecting the Zealand compressor station to the landfall on the East coast of Zealand. The completion of this Action will contribute to the implementation of the PCI 8.3 by preparing a solid basis for taking further crucial steps towards the Final Investment Decision (FID) to start the construction phase.